Ready for school to start? 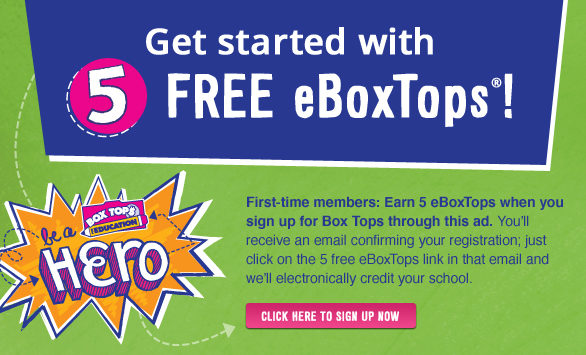 You can get a head start on stocking up on some of your favorite Box Tops for Education products this summer at your local Walmart! Then, make a good impression at the beginning of the school year by sharing the Box Tops that you collected before the first day! a Rafflecopter giveaway Giveaway will end on August 13th at 11:59 pm. 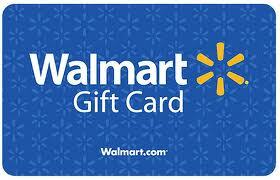 The Walmart gift card, information, and additional gift pack have been provided by General Mills and Walmart through MyBlogSpark. I received a gift card. No other compensation was received. All opinions are my own. This promotion is in no way sponsored, endorsed or administered by, or associated with, Facebook. We hereby release Facebook of any liability. Winner(s) will be contacted by email and will have 48 hours after the giveaway ends to respond before another winner is picked. I like to buy Old El Paso taco shells. Hamburger helper, Pillsbury choc chip cookie dough, and Old El Paso tach shells. My family loves Tacos so we get a lot of them from the old el paso boxes. Sometimes from cereal boxes. I hardly buy any of that junkfood. I looked at the list and I do buy Ziploc plastic bags and Kleenex tissues! And Avery office supplies like binders and labels for work so I will have to check the packaging! Toaster Struedels is one of our favorites we like to buy! I buy the cereals, Ziploc and Kleenex the most. Thanks for posting the list. It's a good idea to check it from time to time. We buy a lot of GM cereals - Cheerios and Chex are some favorites! I like to buy Cheerios and Reese's Puffs cereals! My kids love toaster strudel. My kids ove all the cereals!! I buy ALL the cereals!! cheerios. hamburger helper. toaster strudels. we'd buy cheerios of course! cheerios, pizza rolls, and toaster strudels! I like to buy Honey Nut Cheerios and Hamburger Helper. Honey Nut Cheerios and Old El Paso taco products. Honey Nut Cheerios or Cinnamon Chex are popular at our house. Our freezer is always stocked with Toaster Strudel. I buy Fiber One Bars! Nature Valley Granola Bars. Thanks! Cheerios are my fave to buy. I buy ALOT of cinnamon toast crunch cereal! My kids always ask for this! At my house we always have Kleenex, Ziplocs and Lucky Charms. I buy LOTS of Box Tops items...Hamburger Helper, Totinos Pizzas, Grands Biscuits, Kleenex, Ziploc Bags, Toaster Strudel, Bisquick, and much more!!!! I love a lot, but I am a HUGE fan of Lucky Charms...in fact I am now craving them! Love the cereal & ziplock baggies. i purchase the cereals (luck charms, kix, honey nut cheerios), pop tarts, yoplait yogurts, the taco dinner kits, toaster strudels and pillsbury cookies. I always buy Cheerios and Hamburger Helper. 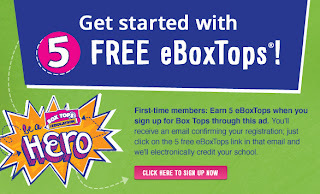 I collect the box tops for our school. I buy lots of cereal. I am constantly buying the pills bury cookies! We buy Old El Paso Taco kits and Pillsbury cookie dough. We buy a lot of crescent rolls.. and cheerios. Totino's, Cheerio's, Scott toilet paper. I give them to my neice to take to school. Thanks for the cool giveaway! Cereal and taco shells is what we buy most often. I have a ds who thinks cereal is a major food group, so Cinnamon Toast Crunch would be a major purchase for me. I like buyin the Pillsbury Strudels and Kleenex. From Nature Valley granola bars and Chex Mix snack mix. Fiber One Bars are my favorite! I buy everything there! My fave is Lucky Charms! 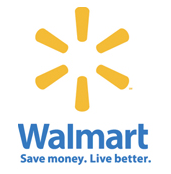 I love alot of their products. Pizza rolls, cereal, pizza, cookies, refried beans!! LUCKY CHARMS! amandalilly@hotmail.com thank you! All the cereal, fruit snacks, and yogurt! Kleenex, ziploc bags, and hefty bags. I like to buy Cheerios. I buy Juicy Juice and TONS of cereals! fiber one bars and any cereal. Two items that go fast in our household. We love the Golden Graham bars! YummY! We love Cinnamon Toast Crunch and Hamburger Helper! I purchase Hamburger Helper and pillsbury cinnamon rolls.